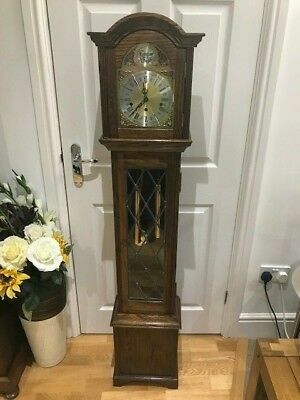 Oak cased Grandmother Clock, Westminster , 8 Day. 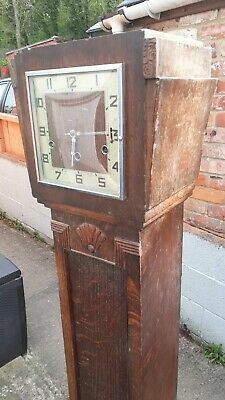 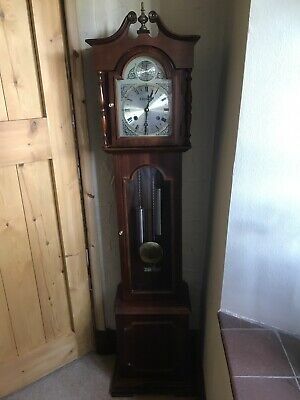 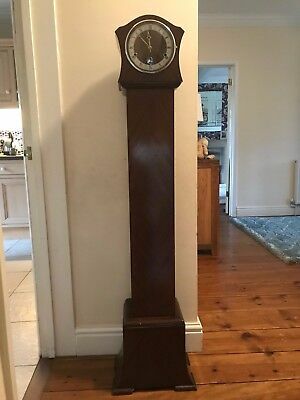 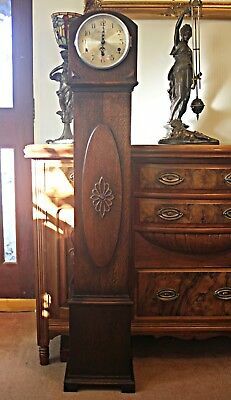 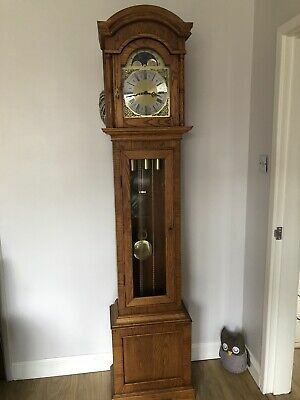 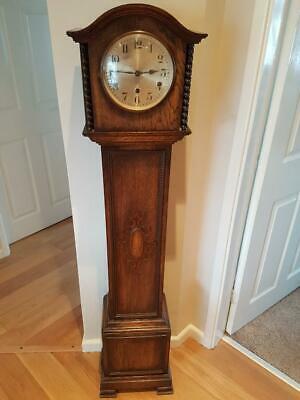 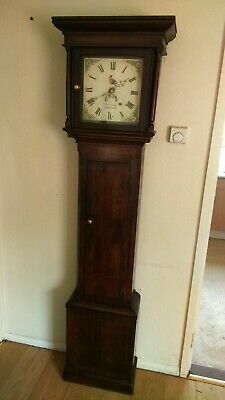 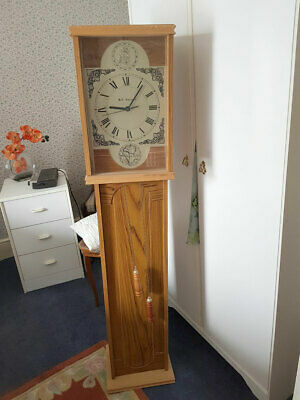 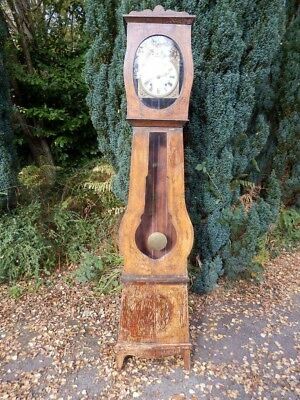 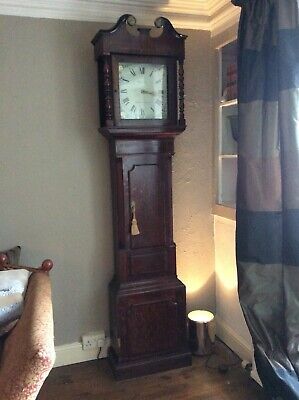 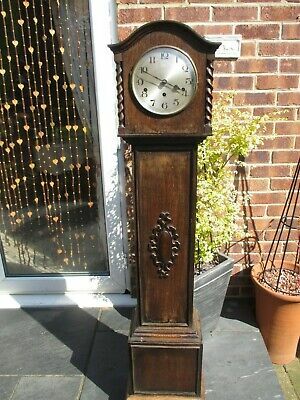 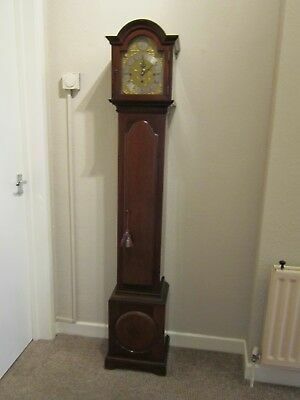 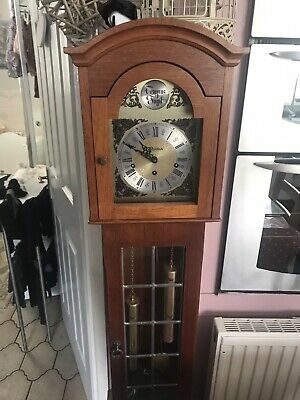 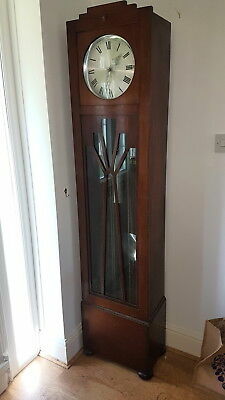 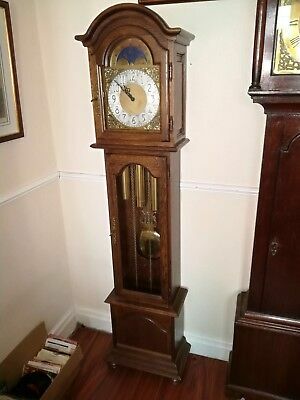 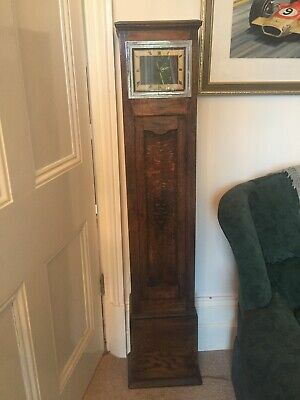 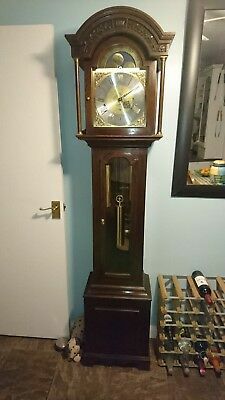 Edwardian Oak Grandfather Clock. 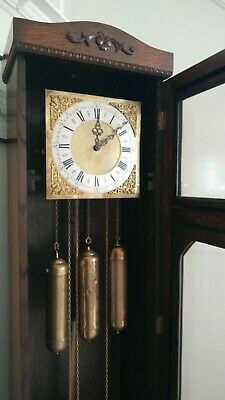 8 Day, Chimes. 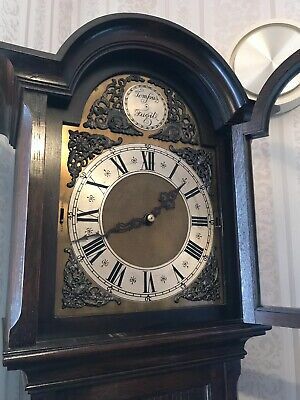 Clock French, long case, pine, antique, original hand decoration. 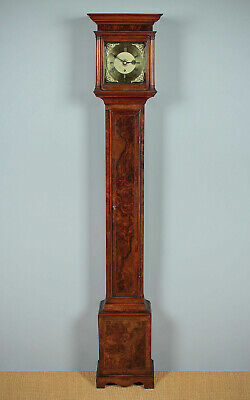 Miniature Antique Walnut Longcase Clock c.1900. 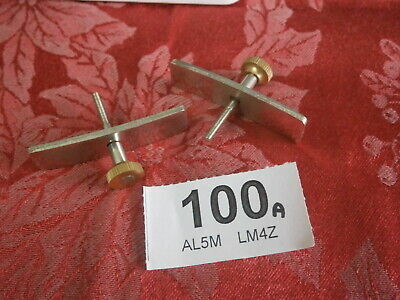 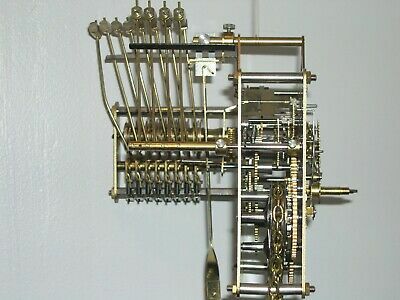 kieninger KK025 clock movements and weights. 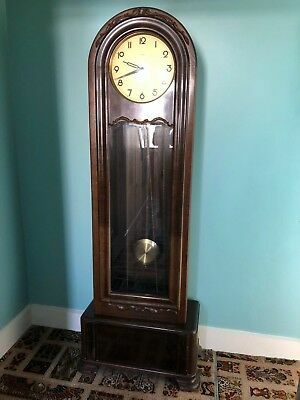 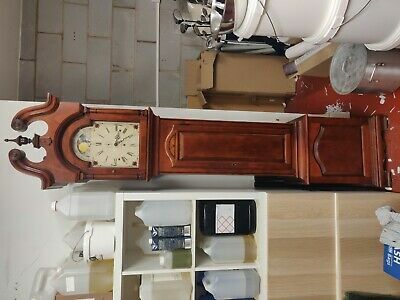 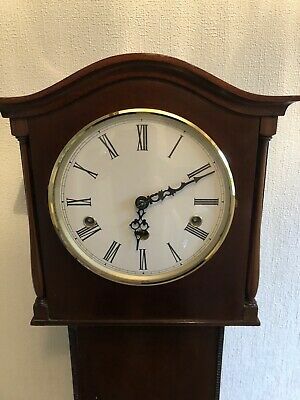 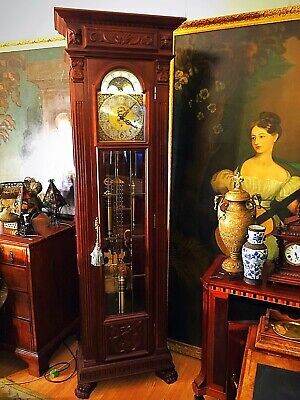 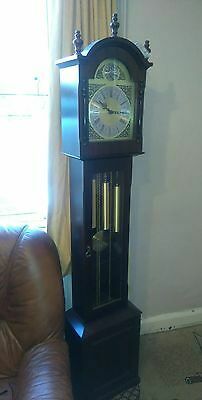 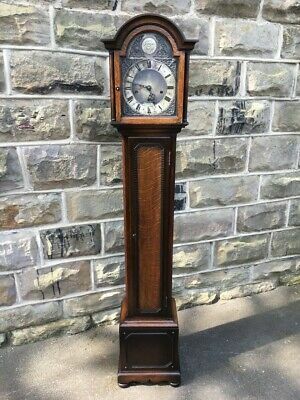 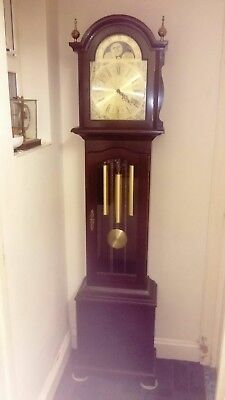 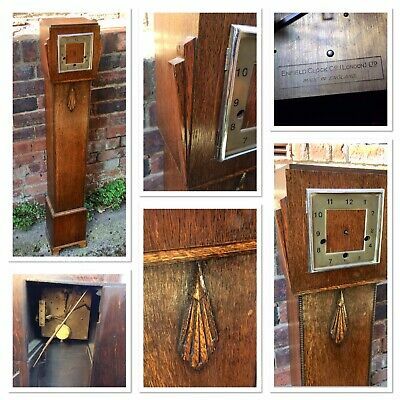 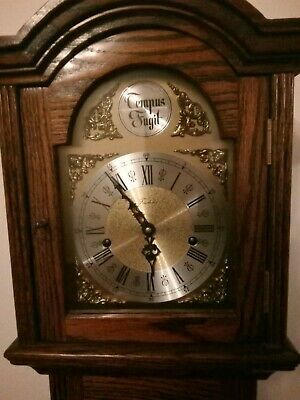 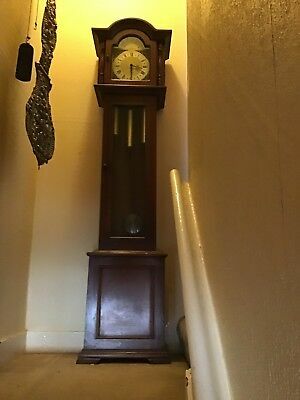 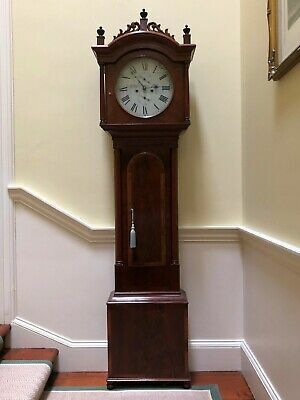 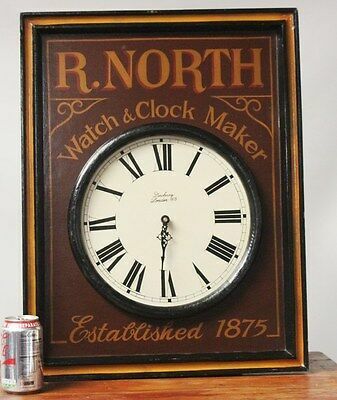 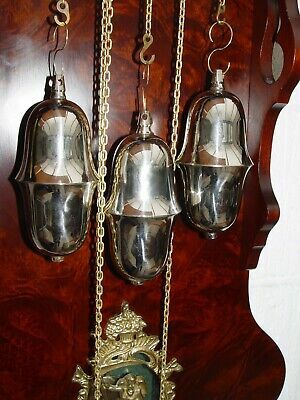 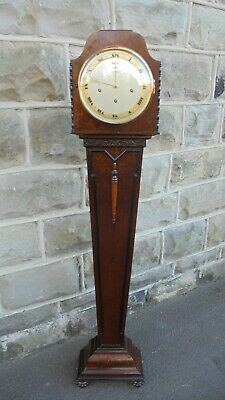 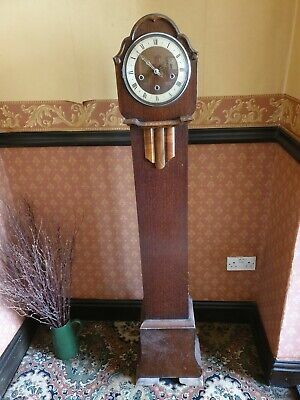 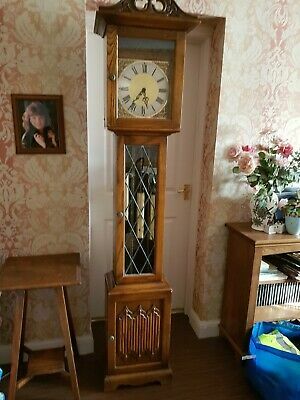 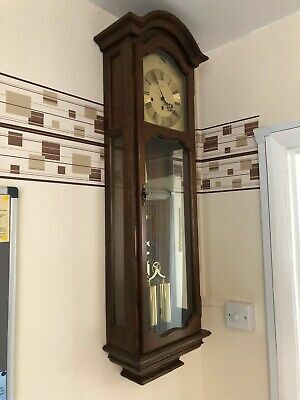 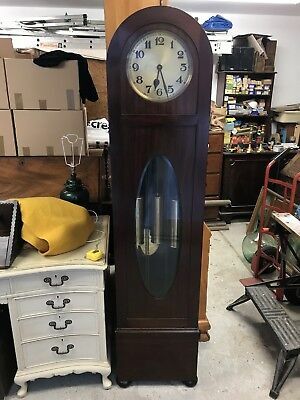 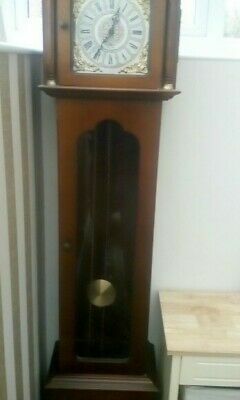 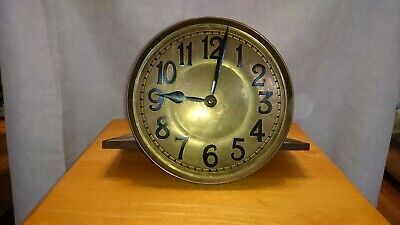 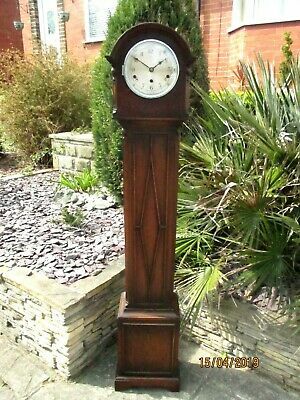 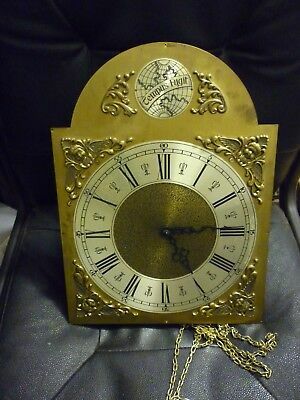 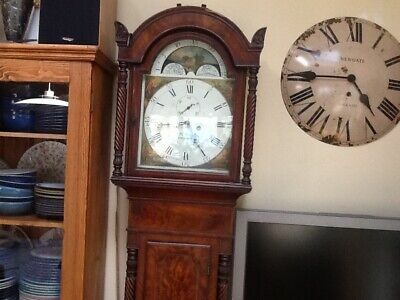 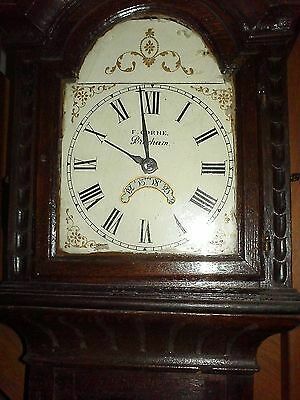 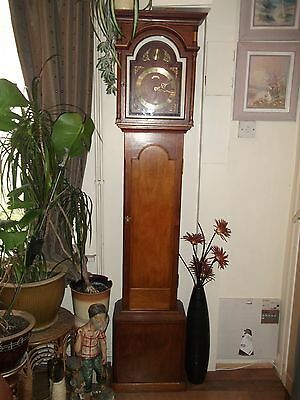 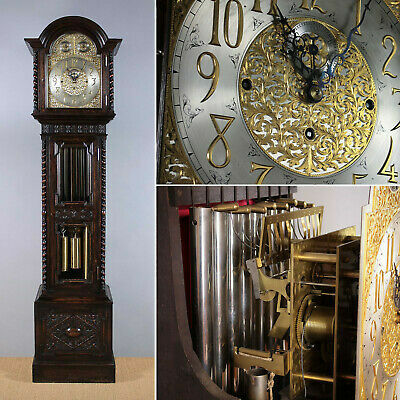 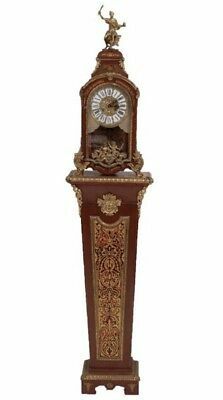 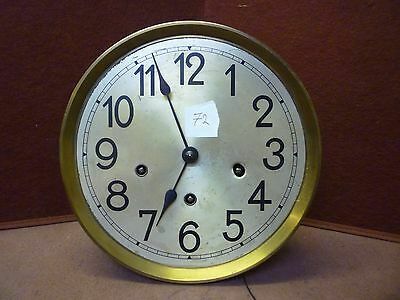 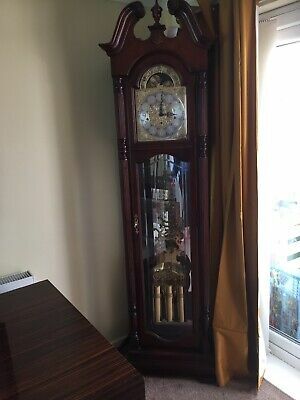 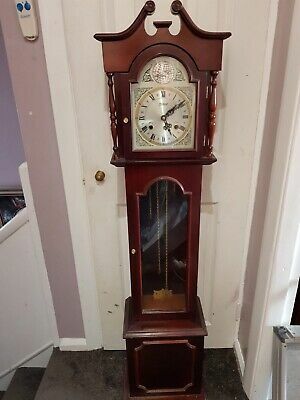 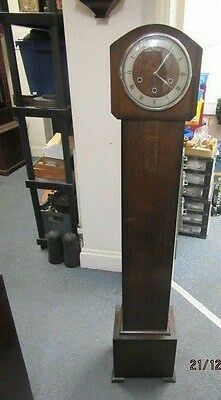 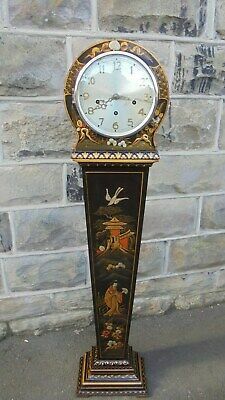 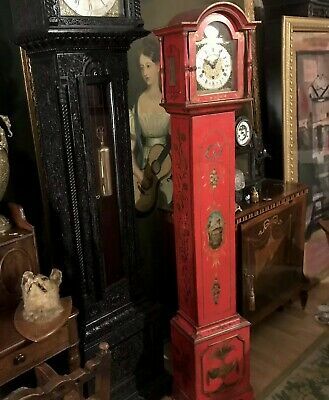 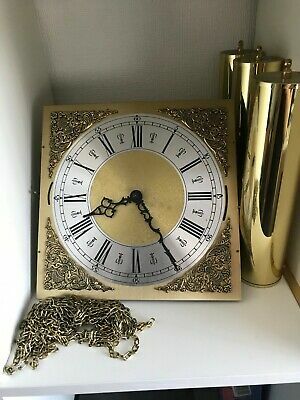 Edwardian period three train weight driven 1/4 striking grandmother clock. 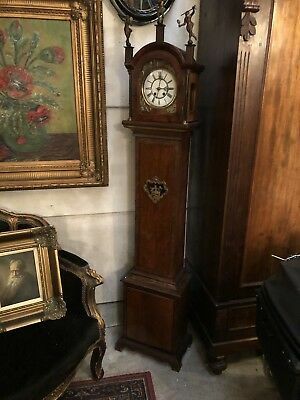 Antique Early 20th.c. 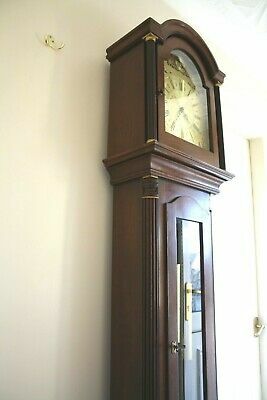 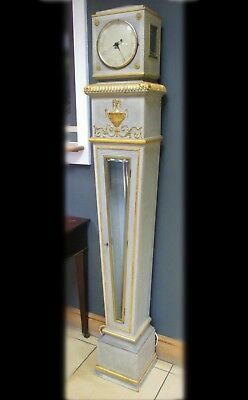 Long Case Clock c.1900.